Funds will improve PCC's job training centers, increasing the lifespan of facilities and reducing long-term costs, according to college officials. Portland Community College's $185 million bond measure passed by a wide margin Tuesday evening as voters in Multnomah, Clackamas and Washington counties gave it a big boost. The measure renews PCC's expiring $144 million bond measure, approved by voters in 2000, meaning that it will not require new taxes. Funding will improve PCC's job training centers, increasing the lifespan of facilities and reducing long-term costs, according to college officials. 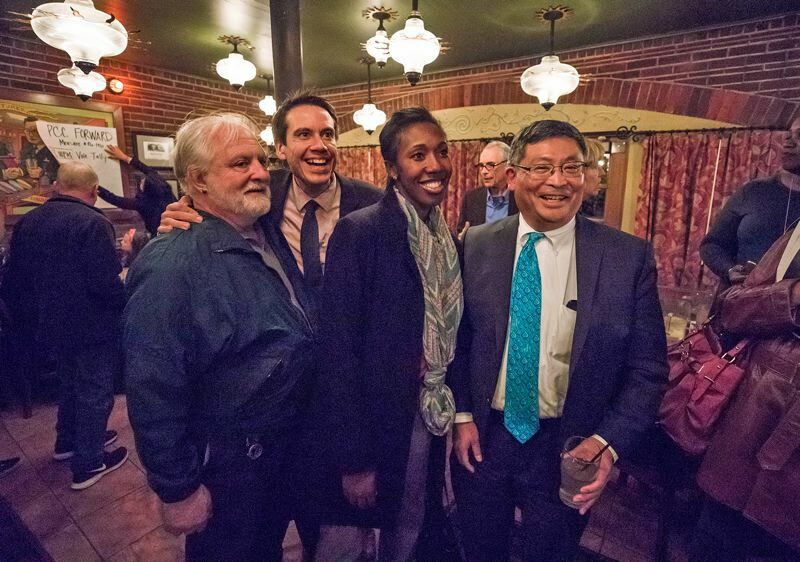 Early Tuesday evening, as election results rolled in, measure supporters were optimistic that wide victories in three of the college district's five counties would carry the night. 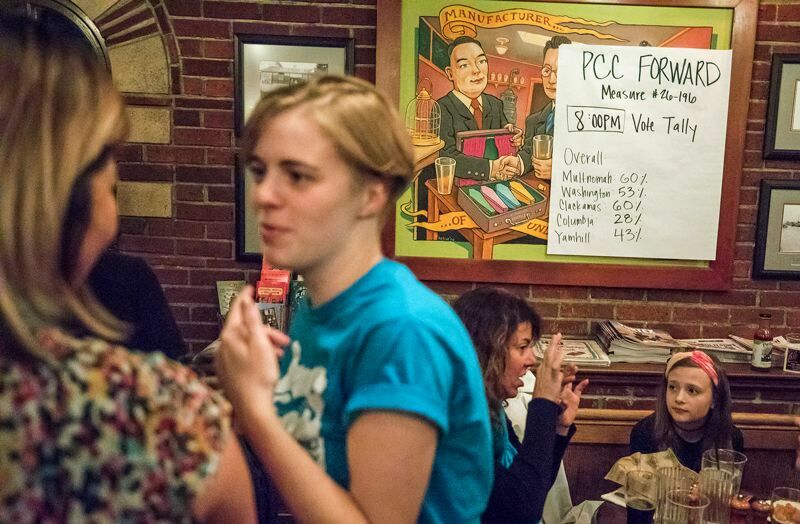 "We've got about a 20-point spread, and I'm hoping that stays consistent with the rest of the turnout," said PCC Board Member Valdez Bravo at McMenamins Chapel Pub in North Portland, where the college hosted an election night party. According to election returns late Tuesday night, PCC's measure was approved in Multnomah County by a wide margin, 63 percent to 36 percent. In Clackamas County, the margin was similar, 61 percent to 38 percent. Washington County's vote was a little closer, 54 percent to 45 percent. The measure failed in Columbia County, with 71 percent of voters rejecting the proposal. In Yamhill County, the measure was rejected by 57 percent of voters. Election night turnout was about 29 percent. The largest share of voters in the vast district — the PCC district is roughly the size of Rhode Island — are in Multnomah and Washington counties. Bravo said that he had been optimistic about the bond passing because he was "seeing so much love on social media and in the streets" for PCC. But, he added, "I grew up on a farm, and you never count your chickens before they hatch." "Sixty or 70 percent of our service area has a connection to PCC," said PCC President Mark Mitsui. "So I'm not surprised at the amount of support. We were thinking about turnout in this mid-cycle election, would we get folks to turn out? We're very appreciative of all the folks that did turn out." Mitsui added that he is particularly pleased that the new bond measure will fund redevelopment for PCC's workforce training center in Northeast Portland. He said the training center has the potential to "help move families out of poverty and into the middle class through education and training." PCC serves about 2 million residents. Nearly 78,000 students are enrolled across the college's four main campuses and five smaller facilities. As initial results came in, Bravo searched for wood to knock on inside of the private room at Chapel Pub. "So far we're 60-40," he said, referring to early results from Multnomah and Clackamas Counties. "If we stay there, for me that says that there's a lot of love for PCC. People understand that PCC changes lives."